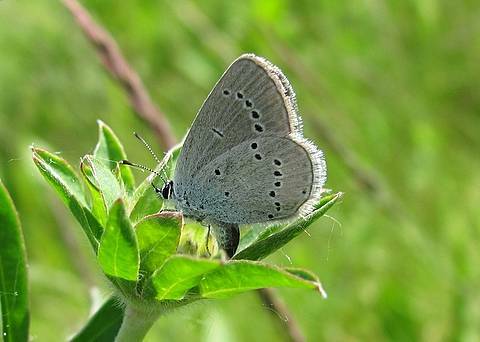 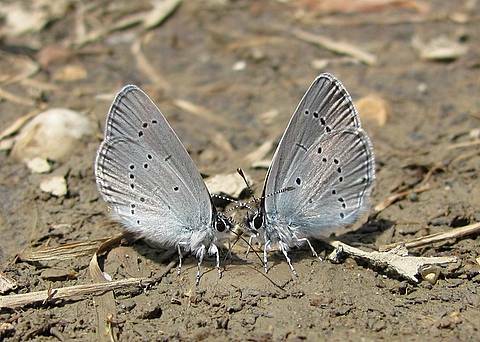 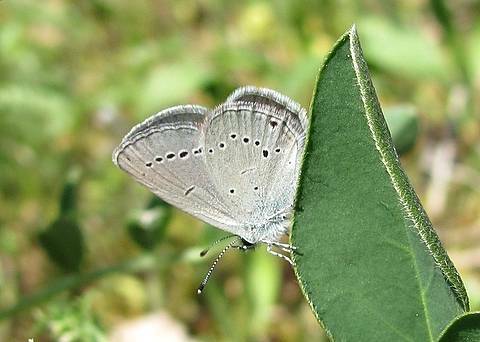 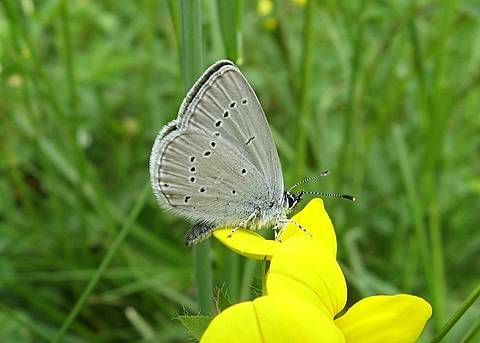 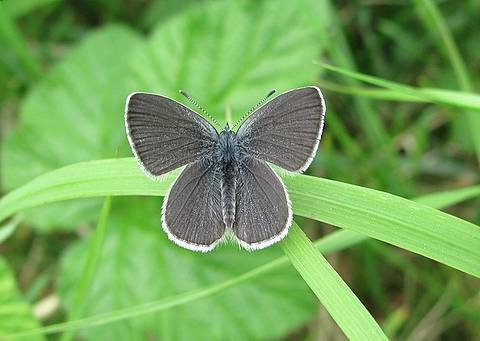 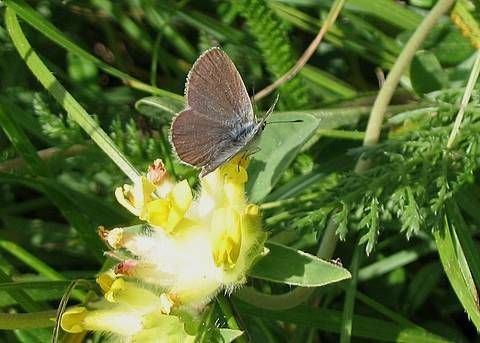 The Small Blue is a widespread species in France but often only locally common as its occurrence is tied tightly to the presence of the larval foodplant kidney vetch which will only grow on calcareous terrain. 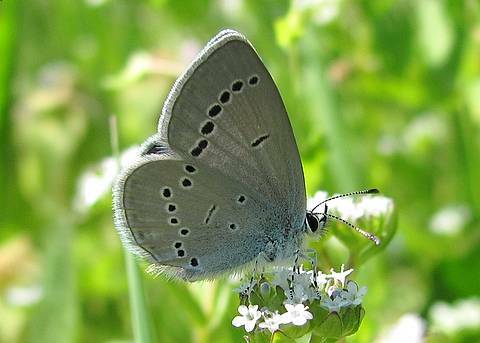 I saw the butterfly for the first time in the Rhône département in 2005 where I have always found it hard to come across. 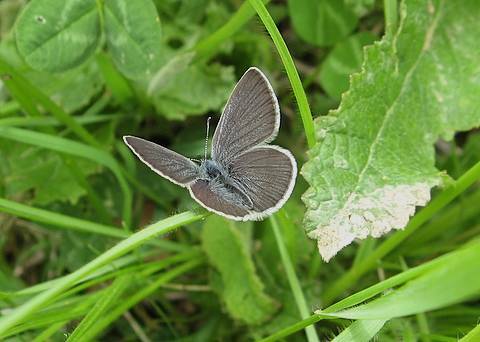 I have encountered the species much more commonly in the Alps and Pyrenees, where up to 100 adults could be seen within a few square metres in open grassland at high altitude. 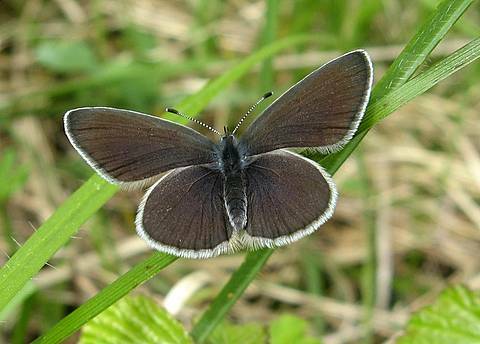 As with other species, the difference between fresh and worn individuals can be quite staggering; the fresh ones a deep brown with a crisp, white fringe and the worn ones a pale brown with almost no fringes left at all! 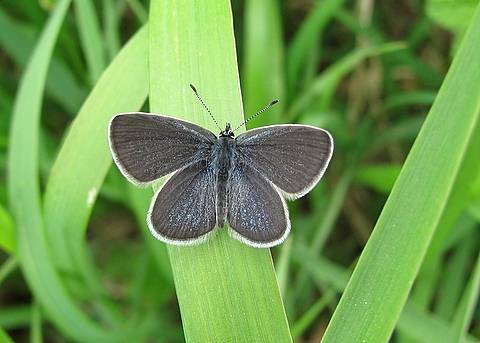 This species is also known as Little Blue.